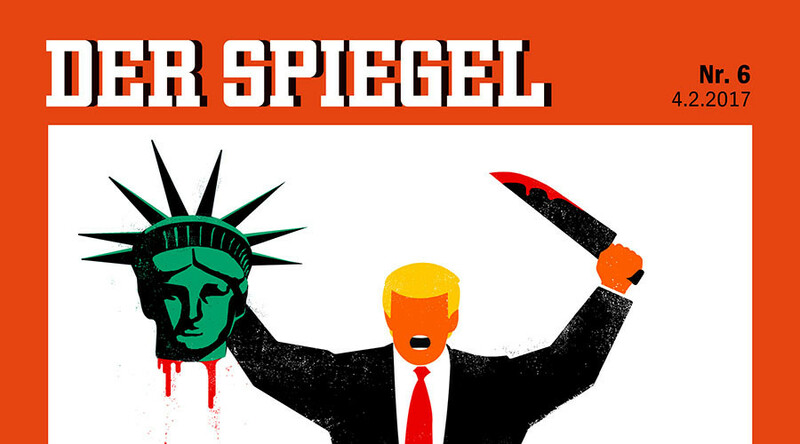 The editor-in-chief of German weekly news magazine Der Spiegel has defended a highly controversial cover depicting US President Donald Trump beheading the Statue of Liberty. He also called on Germany “to build an alliance” against the US leader. “We want to show what this is about, it's about democracy, it's about freedom, it's about freedom of the press, freedom of justice and all that is seriously endangered,” he said, referring to the cover published on Saturday’s magazine. It featured the distinctive figure of Trump holding the bleeding head of the Statue of Liberty in one hand and a bloodstained knife in the other. Der Spiegel is one of Europe’s largest weekly magazines, and the cover provoked a heated discussion on social media both in Germany and abroad, and drew criticism from other German media outlets and some politicians. The daily also accused Der Spiegel of attempts to gain “publicity at any cost” and said that the cover was an “irresponsible exaggeration” that could lead only to the loss of credibility of the German media. However, only 44 percent of Die Welt’s own readers agreed that Der Spiegel’s cover was indeed “exaggerated” while 56 percent said it was “adequate,” according to an online poll conducted by the media outlet. Meanwhile, daily newspaper Bild and the Frankfurter Allgemeine Zeitung criticized Der Spiegel for presenting a “distorted image” of Trump and comparing him to Islamic State (IS, formerly ISIS/ISIL) terrorists. Bild in particular noted that the new US leader’s image on the cover resembles that of Mohammed Emwazi, a British national known as ‘Jihadi John’ who was seen in several videos showing the beheading of Islamic State hostages. 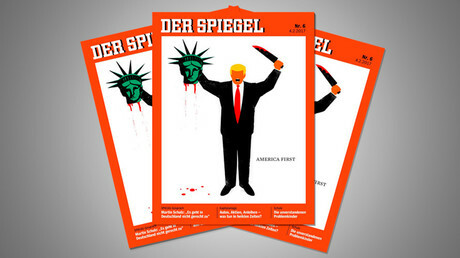 “The Spiegel cover is just what Trump needs – a distorted image of him which he can use to further his own distorted image of the press,” Bild said. Brinkbaumer did not comment on the extent to which the cover was intended to resemble beheadings by Islamic State. 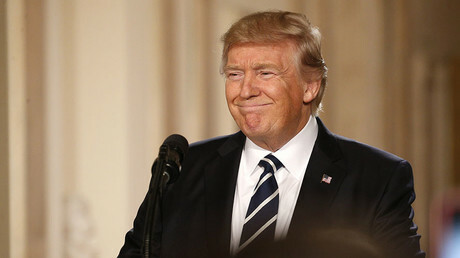 However, the cartoon’s author, US-Cuban artist Edel Rodriguez, told the Washington Post that he had set out to compare Trump with IS terrorists. 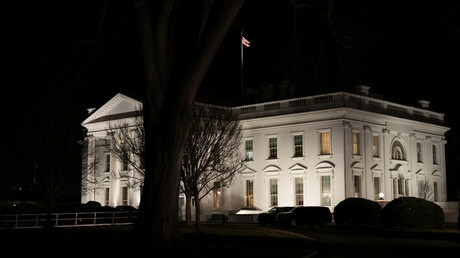 “It's a beheading of democracy, a beheading of a sacred symbol,” Rodriguez said, explaining the idea behind the cover. “Both sides are extremists, so I'm just making a comparison between them,” he added. In the meantime, Brinkbaumer openly called on Germany to take on a leadership role in an international “alliance” against Trump in his editorial published by the magazine on Saturday.